We are consistently looking at the best online brokerage firms for you. I've tried out every firm listed below, and we have created reviews for many of them. 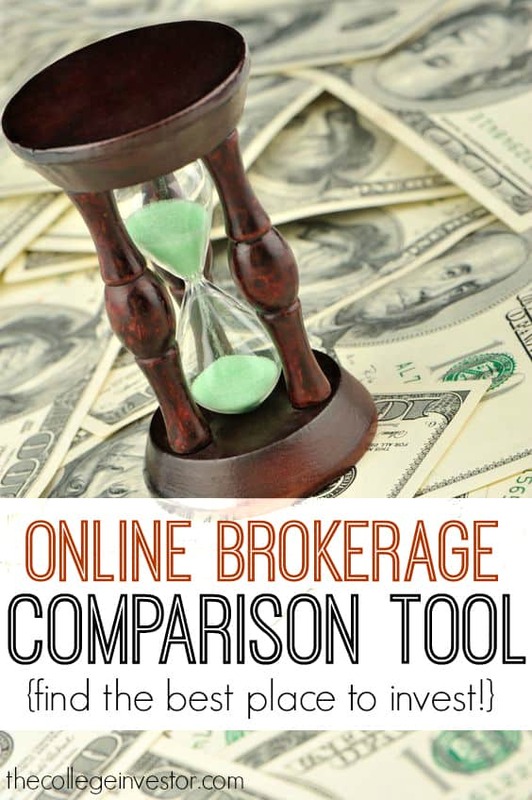 If you're looking for the best online stock broker to meet your needs, check out our comparison tool. We work hard to find the best brokers - from comparing commissions and fees, to account minimums, to the promotions they are currently offering. Everything you need to know about each major online stock brokerage firm is listed below. Check it out below or check out our Broker Comparison Partner. We are also consistently reviewing these firms to make sure that you're able to find the best information on these companies. It takes us a lot of time to go through and look at every aspect of their trading platforms, so we're consistently updating this list. If there is a firm that you'd like to see reviewed sooner, rather than later, please contact us and let us know. We'll check it out and give our unbiased opinion about them. Acorns Investing Review - Acorns is a mobile app that allows you to invest your spare change. It charges no account minimums, but the high annual fee as a percentage of small investments is a drawback. Charles Schwab Review - Charles Schwab is a classic company that has reinvented itself for the needs of new investors. It has low fees, but it does ask for higher account minimums to get started. ETrade Review - ETrade used to be the leader in low cost investing. However, they are now one of the higher priced online brokerage firms, which makes them middle of the pack when it comes to investing. Fidelity Investments Review - Fidelity is the leader in online brokerages. They offer a full service brokerage, both online and in person. They have one of the largest ranges of investments, services, and account types available. They are also very low cost, with many free options. As such, we rank them as our top online investment broker. Kapitall Review - Kapitall seeks to gamify the investing experience by creating an easy to use interface with great tools. However, their limited investment options and account types severely limit the platform. M1 Finance Review - M1 Finance is an innovative platform that allows you to build a diversified portfolio commission free. You can invest in a variety of individual stocks and ETFs, and M1 will help you manage your allocation, all with commission free investing. Merrill Edge Review - Merrill Edge provides low cost access to some great investing tools. The also offer a low cost discount brokerage that many investors might find value in. OptionsHouse Review - OptionsHouse is a discount brokerage that focuses on frequent traders and options traders. As a result, they offer low fees and run promotions on trading all the time. Robinhood Review - Robinhood is a really interesting company. They offer $0 commissions, but you have to trade with their app, which is available on iOS and Android. Because of the limitations of the app (including dividend reinvestment and more), we gave them 3/5 stars. TD Ameritrade Review - TD Ameritrade is one of the leading online discount brokerage firms. Specializing in IRAs, they offer great service at reasonable prices. Their commissions are slightly higher, which puts them at their only disadvantage. ​Vanguard Review - Vanguard is the leader in low cost investing, offering countless low cost mutual funds and ETFs. They are great for individuals looking to invest in Vanguard products, and they don't charge commissions to invest in their fund families.